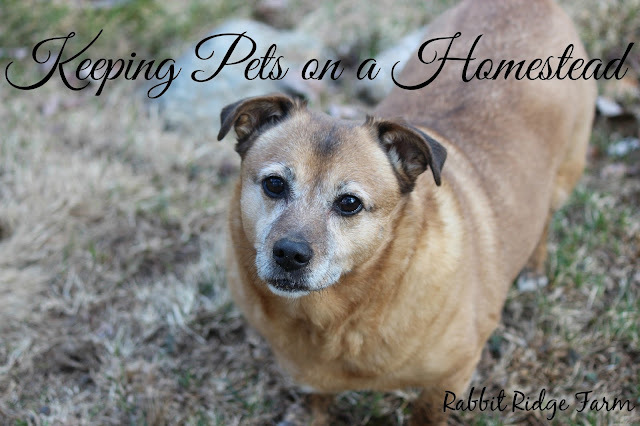 Pets can be a controversial issue among homesteaders. There are those of us that name all our chickens, teach them tricks, and even put little costumes on them. Then there are those who don’t keep any animal that does’t “pay for its keep” and there are homesteaders everywhere in between. For Scott and I at Rabbit Ridge we are completely on the pet side. We have a dog, a cat, and four rabbits that “contribute nothing” to our homestead. For some homesteads rabbits fall into the livestock category but not really for us. Our four our all spayed/neutered, litter trained, indoor/outdoor buns. Despite the fact that they don’t pay their own way we find it worth it to keep them. Though it may not be apparent to others we believe that all our animals rabbits, chickens, ducks, and the cat and dog benefit our lives. There’s the oh so obvious benefit everyone says their pets give, love. Pets are known for the being the only ones who can love us sometimes more than we love ourselves. Many of our animals like the rabbits also provide us with manure that makes beautiful compost for our gardens. The rabbits litter boxes are such an easy way to collect manure and it was actually really easy to train them to use them. The rabbits in particular also have relatively minor daily costs. The majority of their food is just hay and we buy hay in large amounts for chicken and duck bedding anyway. Our pets are also great for our work ethic. There’s no putting off their care till later. When they need something they need it now. It doesn’t matter if you’re sick, tired, or just don’t feel like it. It makes us feel great to care for something that totally depends on us. Yes they cost money but we all make sacrifices for things we love. There’s no denying that animals come at a price. Even livestock that is strictly useful. Think you can go on vacation or a spontaneous camping trip? Think again. Someone has to water all the animals in the morning. To some these sacrifices may seem extreme but we all make sacrifices for the things we love. Some people buy expensive sporting equipment, others donate to charity, we take in rescue animals. For those of you who are wondering how we afford these animals I can say that I sacrifice more than my time to have these animals. We wear thrift store clothing, grow as much food as possible, drive old cars and much much more. 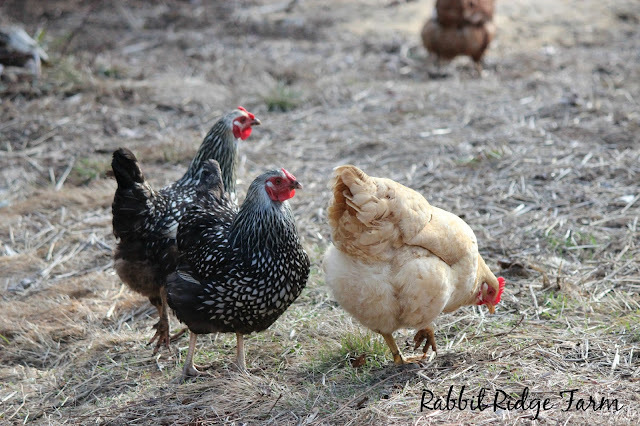 You can read our articles about how we live and farm frugally for more information. Now this isn’t to say that I believe pets or livestock are right for everyone. Besides just the time and money that goes into them they can be emotionally taxing. You invest so much into them and hope that they stay happy and healthy. Even the healthiest creatures don’t live forever and losing them is hard, really hard. To us it’s worth it. They all leave a paw print on our hearts. The memories of their lives keep us wanting to do it again. Everyday I am reminded of why they are so important to our lives. 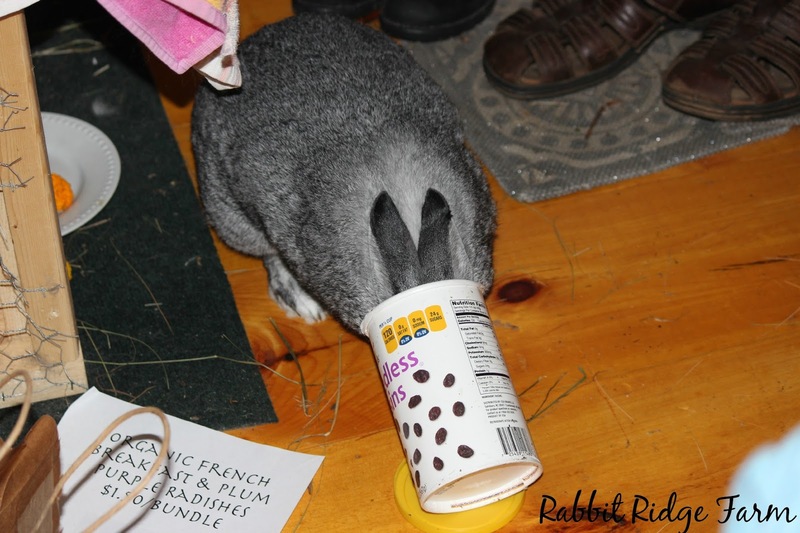 When I got frustrated with online work and then found Gandalf the rescue rabbit with his head stuck in a raisin box that we left on a shelf that was apparently a little too low. Please excuse the mess we were close to moving day. Or when I can’t find the motivation to do anything but know that the chicken and duck coop must be cleaned. I get some fresh air, get my blood pumping, feel useful, and get motivated for the rest of my days work. Or this summer I felt so overwhelmed I broke down crying on my way to put the ducks in and shut the chicken door for the night. I broke down crying, kneeling in the driveway under the star filled sky and despite my wonderful partner, the land we were blessed to grow our food on, and the wonderful life I have led at that moment I felt so alone. Then I heard a whine and felt a paw scratch my leg. Angel had followed me, as usual, and her face appeared profoundly concerned. Even more surprising than Angel’s caring gesture was the soft cat’s face that rubbed against mine next. Don’t get me wrong she’s an awesome cat but tender love and care isn’t always her forte. So when I felt this, sitting next to Angel in our driveway and knew that no matter what I messed up in life I would always have friends, albeit furry ones, I felt much more at peace. I took a deep breath ran my hands through the dog and cat’s fur and watched the ducks as they filed into their coop patiently waiting for me to come shut their door. There are pets that can be useful too. The chickens and ducks pay for their feed in eggs. As I mentioned before the chickens, ducks, and rabbits all provide tons of compost for our gardens. We are also looking to adopt more productive livestock in the future such as sheep and angora rabbits. These animals are sometimes hard for sanctuaries to find homes for because of the intense care they require but they can make wonderful pets with a fiber benefit.